This is Pinterest equivalent of posting product shots on Facebook or tweeting continuously only about your products or services. It should always be kept in mind that afterall it’s a social media platform and it is made for people. So more you make interaction, better for your brand. You can talk about the industry, talk about your employees, your people. Always pin something that is interesting / useful for your audience. Pinning just the product images won’t do any good. Here, the first mistake is that many brands use the personal profile for brand, being unaware that just like Facebook, Pinterest also has a special business profile. It is very important that the profile is updated and all the fields are appropriately filled. Not mentioning the website is another fault. It is important to have website mentioned to the Pinterest profile. It helps in a better SEO. Make sure you also give links to your other social media channels. Especially- Twitter. A lot of people also use Pinterest as a source of good quality images. They discover various brands because of the interesting and beautiful photographs. So using poor images on a business page is a turnoff. Make sure you use best quality high-res images that have aesthetic value to them. Hire a photographer and a designer if it takes, but the images have to be the best because of the visual nature of the platform. If you’re not linking the pins to your website, probably you are not using the site for business, but just to pin images. The ultimate goal of using the social media platform is to drive people to your website. Pinterest works on repinning. More repins, better for your brand. However, everyone won’t visit your Pinterest homepage and check your website. So it’s important to link the pin to the product / service landing page. The brands who don’t do it miss out on many opportunities. Pinning just an image is almost as good as pinning no image. It might be visually appealing and beautiful, but if there’s no description / caption, it will not arouse curiosity among the users and they won’t want to find out more. A good pin should always have an image description as well as link to know more about it. It’s great to be helpful to the users. It is a huge turnoff when the pins do not stick to the board theme. The users follow certain boards only because of their liking towards that specific topic. And if the brands to not post according to the theme, users abandon the board and unfollow the brand. Loosing customers’ trust is the worst thing that can happen to any brand. It also leads to flagging of the pins. So if the board says ‘Cute pictures of babies’, do not post food pictures there! Not everyone is interested in all the topics, even though you have a lot of interesting things to share as a brand. So people follow the boards that interest them. So while setting up a Pinterest profile, it’s advisable to have various categories and boards to that people can follow those according to their likings. If you’re investing so much (time & money), you also need to check the returns. Keeping a constant check on ROI is very important while using any media. Use the Pinterest analytics and measure how your efforts are paying. Using this, you can tweak the strategies, stop the ones which are not working, or you can introduce the new ones. Pinterest’s web analytics tool proves helpful here. Any social media takes a lot of efforts and time to build up the community and for the results to be visible. It’s a constant and gradual process. 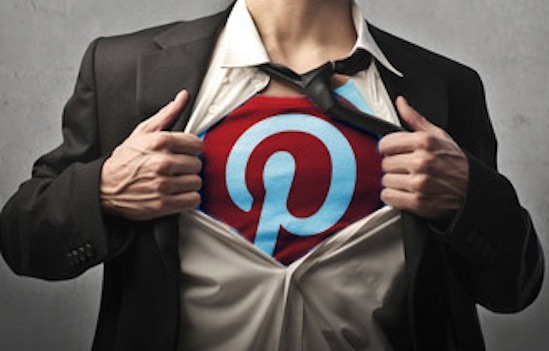 While avoiding a few mistakes you can use Pinterest for the best of your brand.